Chris Kimball shows TODAY’s Kathie Lee Gifford and Hoda Kotb unique kitchen gadgets, including hybrid knives, a popcorn popper and the Grill Gauge. GRILL GAUGE INSTANTLY CATCHES UNDER-FILLED PROPANE TANKS! It is well publicized that certain propane companies have lowered the fill levels in standard 20.0 pound LP tanks to only 15.0 pounds – which is approximately 25% below the legal, safe-fill limit! 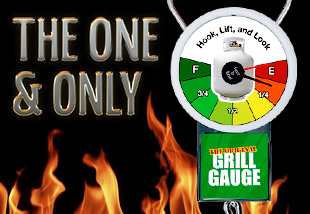 See how the Grill Gauge stacks up to it's competition. We'll show you an in-depth analysis of the features and benefits of Grill Gauge and two of the leading competitor devices.